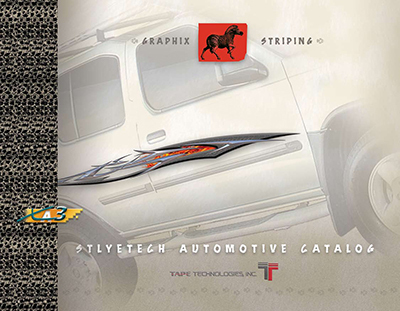 We were born in the automotive striping market. When we ran our first stripe, Mr. Gerber's first plotter was not commercial and signs were hand painted. Wow. So yes, we were one of the first companies to produce stripes for the professional installer and we still do. Originally, we started out producing only the most popular solid and multi-line configurations, but now we produce a wide variety of single and multi-color, multi-line stripes for every imaginable market. We use the best quality cast films with a high molecular weight, solvent based acrylic adhesive. This combination of film and adhesive gives you fast, reliable installations all year - Summer, Winter, Spring, and Fall.